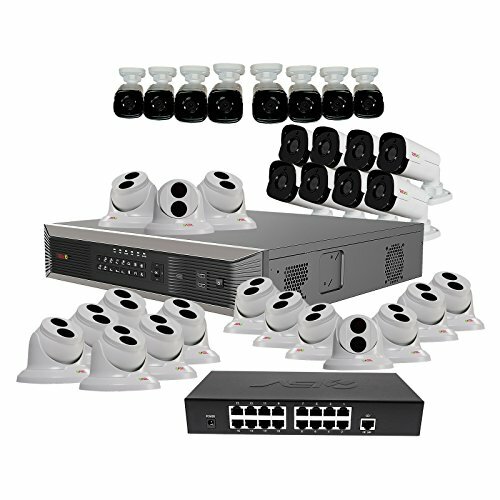 You have been looking for a complete and affordable security solution that you can use for your home or business. 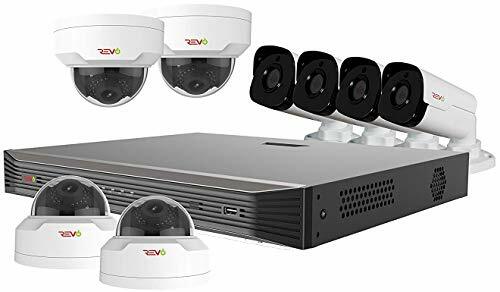 A great wireless security home camera kit is able to fulfill all your requirements of being able to check on your home, your kids, your pets or your business no matter where you are and no mater what time it is. Well, the solution that will really work well for you is the Zmodo Smart Wireless Security Camera. This article will discuss the features, the pros, the cons, some testimonials and a conclusion to provide you with some much more in depth information; so that you can make an informed decision about whether the Zmodo Smart Wifi Wireless Security Cameras are what you are looking for. 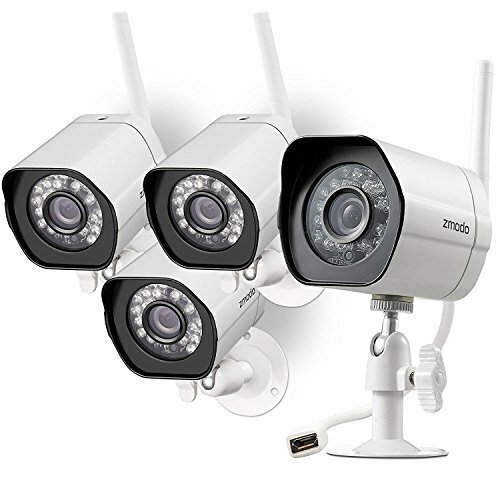 This system of cameras comes to you with easy Smartlink wireless setup technology. The process of setting up the cameras will only take a few minutes. You do not require any configuration specifics at all. All you have to do is simply run the setup and the camera will be in communication with your phone automatically. Your system comes with smart motion detection alerts. You will be able to receive notifications automatically and quickly when there is unexpected motion that has been detected. It is very convenient that you can also use the feature of being able to set up a scheduling time to receive specified alerts by time and date according to your preference. The camera has a detailed 720p color window sensor that gives a good resolution, so that you can see exactly what is happening around your home or business. The camera has the feature of night vision usage that can capture images as much as up to sixty five feet away. 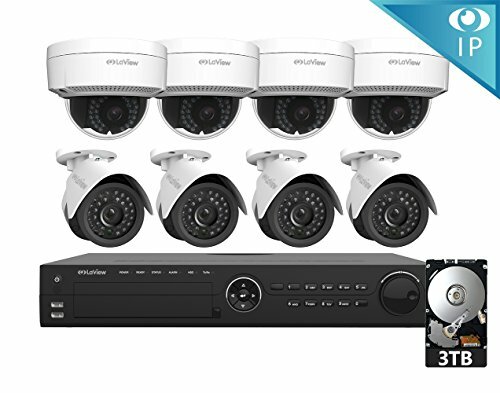 This system is waterproof, which enables you to be able to use the cameras outside in the exact locations that you need them to be set up to monitor your home or business.Easy Setup- Smartlink in Seconds!Power the camera, then input the WiFi password and it configures to complete the network connection. Push Alerts to Smartphone When Motion Detected-You can schedule notification by motion sensors ,sound and specific time. Remote View Anywhere Anytime-Free meShare APP allows you remote view. 720p HD image quality-you can see more clear and deatiled image with this high resolution camera. Cloud Storage Service is coming soon. So you can record the video ( camera records). Customers are glad that the cameras are easy to set up and that they do not take a long time to set up, which proves to be very convenient. Customers like the fact that there is more than one camera that is provided. The kit comes with two cameras to provide extended coverage for your home or business. Some wish that more than two cameras were included, so that they could haves more coverage protection. Some wish that the cameras had a wider angle to patrol more territory better. A customer states that there had been many break-ins in his area where he was living. He could not afford a security system that required monthly fees, because it just was way too expensive for him. This is what led him to search for a home security system. He is glad that he found the Zmodo Smart Wireless Security Camera. He likes the fact of the inclusion of two cameras and that they can be used indoors or outdoors. 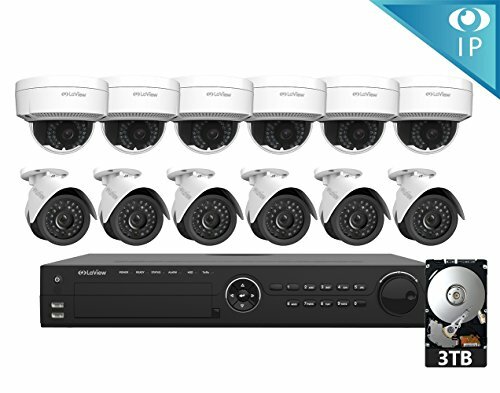 Someone who purchased these cameras ( Pivot Camera, Zmodo Security ) is so pleased that the system comes with two cameras and finds that they are incredibly easy to use for his surveillance system needs. He is impressed that the cameras know when to automatically switch to day or night vision as needed. One customer states that he was exceptionally pleased that all he had to do was attach the antenna, screw in the base and plug the cameras in. The Smart Home Devices camera give clear, crisp images. You can choose the option of using LD or HD video. He notes that more footage can be stored ( hard drives – internal storage – , internet storage or cloud storage ) with the usage of LD as compared to the HD video option. 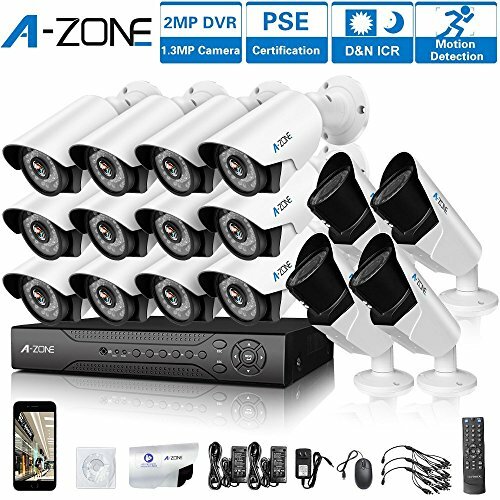 You have truly been presented with a terrific home security option in relation to the Zmodo Smart Home Security Camera ( Zmodo Surveillance Cameras System ). The price is cost efficient for those who are on a strict budget. The cameras are easy to set up. You will have peace of mind that you can check on your home or business at anytime from any location via the usage of your cell phone with Zmodo App. These cameras are great quality and do not work only during day light hours. You will be pleased that they will be able to capture any images during the night as well. These cameras can be used outdoors and are waterproof. Check them out for yourself to see how you like them. I’ve spent 2 days, not minutes, and my wifi still wont recognize the cameras ( Zmodo Pivots). And lol, this is coment for the 4 camera system, and peeps fet upset cuz they only got 2. 2 days and still cant use it.